Ontario educational game company Spongelab Interactive is set to launch their new History of Biology game on September 7th, just in time for the upcoming school year. History of Biology gets high school students to unlock the secrets behind biology. Students Grades 8 – 12 act as detectives to decipher the truth behind some of the greatest monoliths in science. 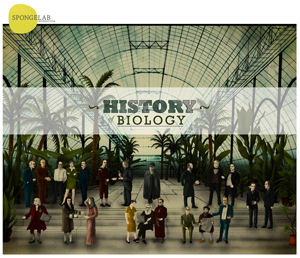 History of Biology, presented by Spongelab Interactive is an online science-themed scavenger hunt where students learn about the key figures and discoveries throughout history which have influenced the field of science. The game will lead players to discover the impact of these people and events on today’s society, ethics, politics and culture. This new game is just one of the interactive simulations available for play in the Spongelab Biology educational game portfolio. 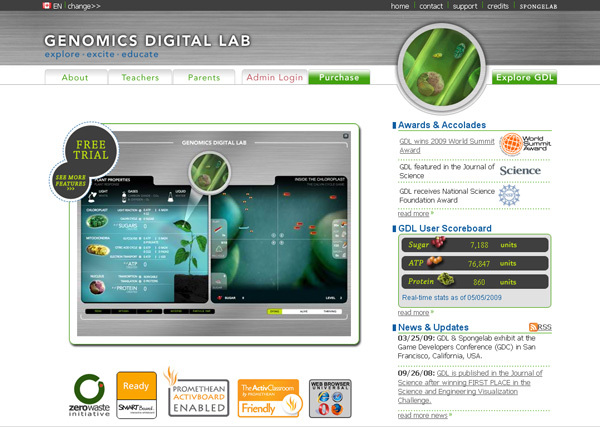 Last February, Spongelab Interactive took home first prize in the National Science Foundation’s 2009 Visualization Challenge in the Interactive Media Category for their award winning Genomics Digital Lab (GDL) which allows students to explore the story of energy and ‘play the biology’. Currently used in over 65 countries, GDL has been transforming the way students and teachers interact with biology in the classroom, at home and from any internet connected computer they have access to. Sabrina Amato, Grade 11&12 Biology Teacher, French Public School Board (CSDCSO). “Our students have changed and so must our education system. It is our duty to prepare our graduates for a technology and innovation based work force. The ability to interact with technology has the potential to play an enormous role in student development and their future success,” says Dr. Jeremy Friedberg, co-founder of Spongelab Interactive. With enrollment in Science and Math declining it’s critically important that we get students engaged, but is Canada ready? In Texas, the legislature adopted a bill in 2009 that provides funds and supports technology for e-textbooks. States like Indiana and Michigan have purchased software for schools that, much like History of Biology and all Spongelab Biology products, have included metrics and assessment tools to give teachers an accurate understanding of how their students are learning. and progressing through the content, while facilitating grading. In June 2009, Governor Arnold Schwarzenegger announced his support in adopting e-textbooks and e-learning. It’s imperative that Canadian Ministries and School Boards also take steps to ensure that our students have access to technology and are supporting Canadian businesses committed to innovative learning and educational assets. College alliance proves winning combination for game development When Spongelab set out to create the History of Biology in a way that teachers, students and gaming enthusiasts would connect with, we knew that the game had to deal with this subject matter in a very unique way and would require a specific game engine. The result gained through a solid partnership with Centennial College’s Paula Demacio, biotechnology professor and students from Centennial’s Game Art and Design program; is an interactive on-line scavenger hunt. Alex Maslov, Centennial student and now employee with Spongelab’s parent company, was challenged to build an engine that randomizes types of missions posed to players and how the answers are received to ensure different experiences for each player. The project has been partially funded by the Colleges Ontario Network for Industry Innovation. The partnership between Spongelab Interactive, Centennial College and its Applied Research and Innovation Centre has proven to be a strong one. The Applied Research and Innovation Centre connects students to businesses like Spongelab Interactive. The results are noteworthy as seven Centennials students contributed to the development of the History of Biology game. Vancouver ACM SIGGRAPH is pleased to announce its 3rd annual SPARK Animation Conference and Festival, after a very successful SPARK FX Conference and Festival in January. In its third year, this prestigious 3-day speaker series and 5-day film festival is intended to educate and inspire professionals, pioneers and enthusiasts in the world of animation. Taking place September 8 – 12, 2010, SPARK Animation ’10 will be filled with informative and inspiring learning sessions, panels and presentations. Previous events have attracted a coveted line-up of some of the most talented animators and innovators in the industry from such acclaimed studios as Blue Sky, LAIKA, Disney Animation, DreamWorks Animation, Pixar Animation and Sony Pictures Imageworks. This strong presentation series will be complemented by screenings chosen to exemplify innovation and excellence in the field held in the evenings at the Vancouver International Film Centre,1181 Seymour Street (& Davie). Early Bird special pricing for this 5-day conference is available until August 15: Members $175 and non-members $225 (HST included). Regular pass admission is $275 for non-members and $225 for members (HST included). A-la-carte tickets for the individual presentations will go on sale on August 30. 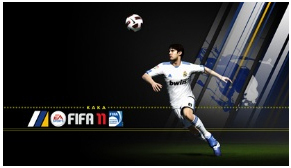 Real Madrid midfielder Kaka has been chosen for the cover of EA Sports™ FIFA Soccer 11. The 28-year-old Brazilian soccer hero will be the center-piece of global advertising, marketing and promotional campaigns for the most popular* sports videogame in the world. Kaka is part of an iconic group of 17 stars who will adorn FIFA Soccer 11 worldwide. Kaka will be accompanied by stars from other teams in other countries in territory specific packaging when FIFA Soccer 11 is available in stores September 28 in North America and October 1 in Europe and Asia. Ricardo Izecson dos Santos Leite, or better known as Kaka, is one of the finest soccer players of this generation, having won the Golden Ball and FIFA World Player of the Year awards in 2007. During the 2009-2010 season, Kaka scored 8 goals in 22 appearances for Real Madrid. Kaka started his professional career at the age 15 for Sao Paulo FC. In 2003 he joined A.C. Milan before signing with Real Madrid in 2009. With 133 career goals in 372 appearances and a member of the Brazilian 2002 FIFA World Cup™ winning squad, Kaka has secured his place as one of the best and most skillful midfielders to ever play the game. Building on FIFA Soccer 10 gameplay that won 50 sports game of the year awards, FIFA Soccer 11 reinvents player authenticity – on and off the ball – for every position on the pitch with Personality+, and introduces new Pro Passing where pass accuracy is determined by a gamer’s ability on the control pad, and player skill, situation and urgency on the pitch. Plus, experience true freedom in man-to-man interactions with 360° Fight for Possession that transforms physical play from just lateral jostling to full 360° collisions. Stitch Media and Showcase Canada are searching for fresh, new talent to star in their upcoming six-part comedy web series, Moderation Town. Beginning now until August 20th, aspiring actors can upload a video audition of a funny or embarrassing 90-second anecdote about an online encounter, real or fictional, on the Moderation Town Talent Search Youtube channel via the show’s web site. Moderation Town centres on the quirky local residents of a small, maritime town, who become not-so-internet savvy content moderators when their local factory folds and is replaced with an Internet moderation company. “We want to hear the most creative, hilarious stories people have experienced online. It could be an awkward Facebook encounter, an odd Chatroulette conversation, or the most atrocious message board flamewar. It doesn’t even have to be true. We just want to see what stories people have and search out new and aspiring actors through this open casting call,” says Mark Mullane, co-writer and director of the show. Prizes will be awarded for the funniest and most popular audition videos on August 20th. The best auditions will be shortlisted for the chance to win an Apple iPad and a second audition that could lead to a paying role in the show. Quirky, crude, and awkwardly self-aware, Moderation Town satirizes the worst of Internet culture by revealing how online attitudes affect average, normal people in the real world. The show poses an interesting social commentary on how internet users get away with appallingly hilarious, antisocial behaviour and how this behaviour translates in face-to-face interactions, resulting in the funniest situations this side of The Office. The show, filming in Nova Scotia, will be directed by Mark Mullane (This Hour has 22 Minutes, Saving Penny) and co-written by Tim McAuliffe (Late Night with Jimmy Fallon, This Hour Has 22 Minutes, Corner Gas). Moderation Town is set to launch on Showcase Canada in fall 2010. Moderation Town is made possible by the Independent Production Fund and Film Nova Scotia, kick-starting opportunities for compelling content online. Iron Will Innovations, the Lloydminster technology company founded to bring revolutionary interface products to the global market, today announced the successful close of a $3MM Series A round of private funding. This initial funding enabled the company to engineer, manufacture, and launch their debut product, the Peregrine glove. As the company moves into its next phase of growth, Iron Will Innovations has opened a Series B round, with over $2MM in private funds successfully closed thus far. The new capital will allow the company to expand marketing and distribution of the existing Peregrine product and prepare their next generation Peregrine glove which will open up other industries and applications. In preparation for the next phase of corporate growth, Iron Will Innovations has installed a new C-Level management team. Brent Baier, founder and current CEO, will transition into a new role as CTO, where he will lead the development and evolution of the company’s product line. Current COO Tim Barrett will become the new CEO and Dale Flint the new COO. Sony Canada today announced the integration of Rogers Wireless, Internet, and cable products and services into its Sony Style™ retail stores, positioning Sony Style as a premiere communications products destination in Canada. This partnership integrates software and services with hardware to give customers compelling and seamless entertainment solutions. Customers can now select from a wide variety of wireless devices that can be activated in-store with offers on plans and cable/Internet service bundles from Rogers. Sony Style will also offer Rogers Rocket Sticks for Sony VAIO® computers, and Rogers Cable solutions, including Rogers HD receivers and HDPVR boxes, for Sony BRAVIA® LCD HD TVs. Further differentiating itself from other wireless retailers, Sony Style will offer and demonstrate totally interactive entertainment solutions that bring Rogers’ wireless, cable and Internet services together with Sony’s cutting-edge hardware products. “We’ll show our customers how easy wireless photo sharing is; capturing a photo with a Sony Ericsson Xperia™ X10, then sending it wirelessly to a Sony VAIO computer to edit and file, and in turn viewing it in beautiful HD on a Sony BRAVIA LCD HDTV”. Telus today announced the availability of Remote Recording, an enhancement to Telus’ Optik TV service that allows customers to manage Personal Video Recorder (PVR) recordings using the Web or iPhone while on the go. Starting on Friday, August 6, Telus Optik TV customers can record, delete, and manage the content on their PVR, as well as view and search the interactive programming guide using any Web connection from any location, or while on the go via an application for the iPhone. The Remote Recording application will be available on additional smartphone platforms like BlackBerry and Android in the near future. The Remote Recording application is available for download for free to all Optik TV customers with a PVR, at no additional charge to their monthly package. This entry was posted on Thursday, August 5th, 2010 at 11:08 am and is filed under Animation, Business News, Contests, Digital Products, Education, Educational, Events, Everyone, Everyone 10+, National News, New Releases, Sports, Studios, Upcoming Releases. You can follow any responses to this entry through the RSS 2.0 feed. You can leave a response, or trackback from your own site.